I received a letter from Mike Bellm on July 14, 2017. The letter is quoted complete below. This is a business opportunity for someone who wants to get into the barrel making business with some incredible history attached. Wouldn’t it be great to have P.O. 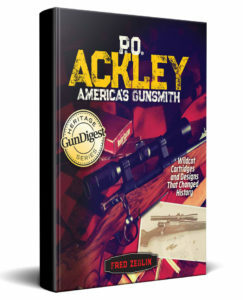 Ackley Barrels back on the market, made on machines that he built? Match Grade Machine has gone all new, high tech production barrel machinery instead of using P.O.’s machines. P.O.’s machines, so far as I know, are likely the first he made in the early 50s. Drill and ream machines are both single spindle but would have produced more barrels than MGM consumes. They opted to get into the barrel blank business and go production. When I was over there yesterday, they were air gauging barrels….. tight tolerances and beautiful finishes. A-1! Bottom line is that P.O.’s machines and tooling are for sale. Machines are transported without motors, wiring, & plumbing attached, so all that needs to be done with setup, which I will do in the deal. I will set up, train, and be on board for coaching along the way. P.O. gave me written permission to use his name. 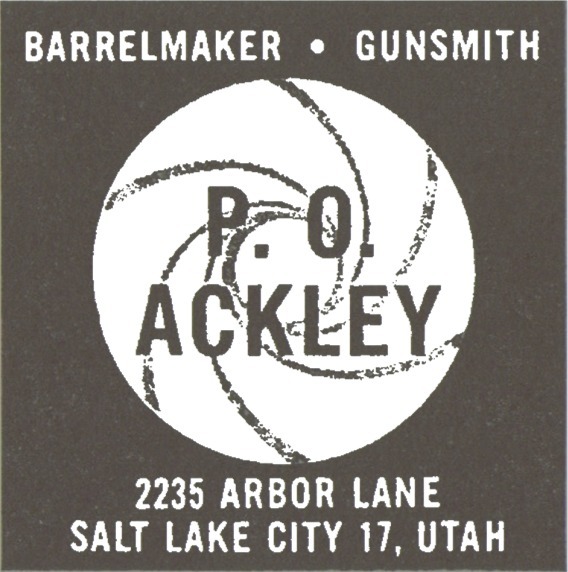 I assume I have legal authorization to confer use of his name…… certainly, to state barrels are made on Ackley’s machinery. Contact Dylan at Match Grade Machine if you or anyone you know is interested.